The Lexar Professional SL100 Pro Portable SSD offers speeds of up to 950MB/s read and 900MB/s write. It features a stylish brushed aluminum finish and comes in a conveniently small, slim size that makes it easy to slip in your pocket. The Lexar Professional SL100 Pro Portable SSD is available this month at an MSRP of €89,99 Euro (250GB), €139,99 Euro (500GB) y €249,99 Euro (1TB). San Jose, USA, April 3, 2019 – Lexar, a leading global brand of flash memory solutions, today announced the new Lexar® Professional SL100 Pro Portable SSD. The Lexar Professional SL100 Pro Portable SSD features a stylish brushed aluminum finish and comes in a conveniently small, slim size that makes it easy to slip in your pocket and go. It’s the perfect companion to accompany you across any terrain as it’s drop-, shock-, vibration-resistant and comes with DataVault™ Lite software, an advanced security solution with 256-bit AES encryption to help protect your essential files against corruption, loss, and deletion. Primed for power, the SL100 Pro has superior performance on the go, with speeds up 950 MB/s read and 900 MB/s write making it up to 2x faster than the SL1003. It also features a USB Type-C port that enables the users to store and share quickly with USB 3.1 speeds. “We are proud to announce the Lexar Professional SL100 Pro Portable SSD, which is sleek, compact, and provides superior SSD-level performance at a competitive price. With professional photographers and videographers in mind, we created an SSD solution so they could travel at ease knowing their content is secure when compared with traditional hard drives,” said Joel Boquiren, Director of Global Marketing. The Professional SL100 Pro Portable SSD includes both USB Type-C to Type-C cable and USB Type-C to standard USB Type-A cable and is compatible with Mac® OSX 10.6+, Windows 7/8/10, and standard USB ports. The Lexar Professional SL100 Pro Portable SSD is available this month at an MSRP of €89,99 Euro (250GB), €139,99 Euro (500GB) y €249,99 Euro (1TB). It also comes with a three-year limited warranty. 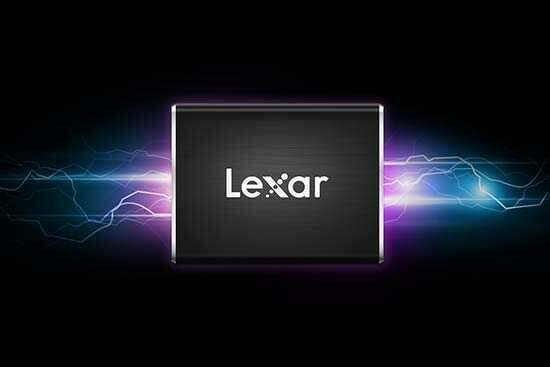 All Lexar product designs undergo extensive testing in the Lexar Quality Labs, facilities with more than 1,100 digital devices, to ensure performance, quality, compatibility, and reliability. For more information visit www.lexar.com. Lexar will be exhibiting at this year’s NAB Show, held at the Las Vegas Convention Center in Las Vegas, Nevada from April 6th-11th, 2019.